Packaging is an essential part of the product. Either it is small or large; one has to pack a product. For the popularity of brand and company, the proper type of packing box is the required thing. Through this, the company business can flourish. Due to the increased demand for the packaging boxes, there are companies who provide such services. One of them is BoxesMe. This company is one of the top-ranked organizations that helps in providing the high-quality packaging boxes and make the business flourish. The screen protectors are of high importance. Smartphones are the main element of everyone’s life and they have to protect their phones from any kind of damage. From protecting the screen of the phone, one must have to go for screen protectors that are available in the market. The proper packaging of these screen protectors is also important, as they have to be safe from any kind of damage. BoxesMe is providing printed boxes for different types of material, which are available in various shapes, sizes, and colors. They also provide free shipping and delivery to their valuable customers. In the market, the demand for a screen protector is high; that is why there are various kinds of screen protectors that are available in the market. The screen protectors are of various kinds like glass protectors, tempered glass protectors, etc. The packaging of screen protectors is highly important, as they are the most fragile, week and delicate items. Such products are usually packed through paper boxes. 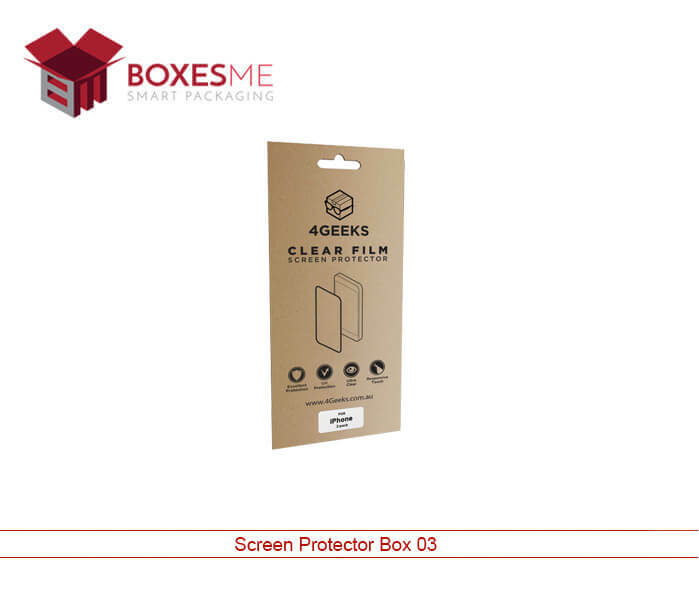 There are various kinds of packaging solutions for packing screen protectors. The hanger’s type box is good enough for the high-quality packaging material. Many retail and wholesale are providing custom boxes. 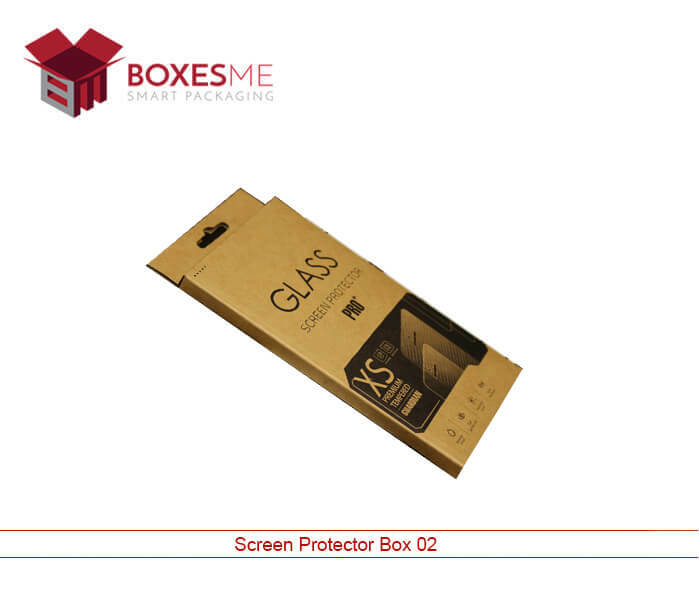 Tempered glass screen protector packaging box is also a good kind of packaging material. There are enormous kinds of boxes with beautiful and wonderful boxes that are available in the market. 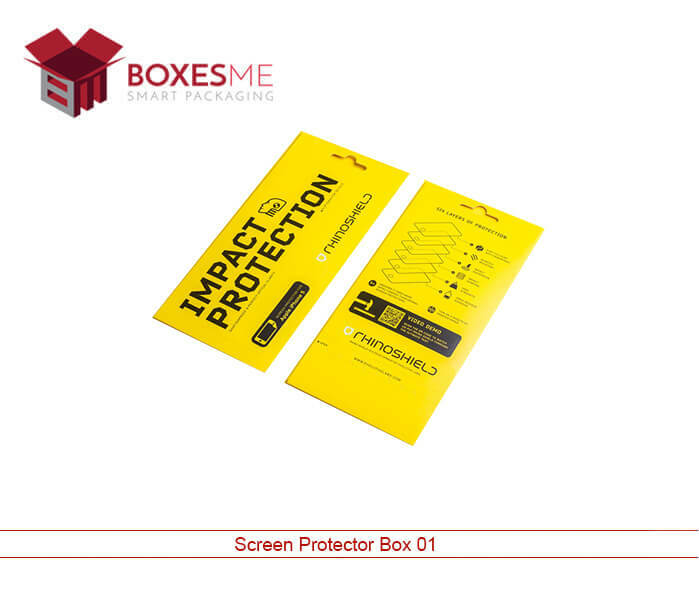 These boxes are there to pack your iPad screen protector, table and phone screen protector. The screen protectors are the fragile stuff and it should be handled with great care. The box is there to protect it. There are many eco=friendly kinds of boxes as they are made up of high-quality cardboard, Kraft and other similar stuff. The packaging of a different kind of screen protector is important and they are in high demand. BoxesMe provides a huge variety of such kind of boxes. They are in the market nowadays. One can easily order the correct type of packaging box for their product. The quality what matters a lot and BoxesMe are maintaining its highest standard in the world market. Overall, we can say this that packaging is of utmost importance and they are the essential component of any product. 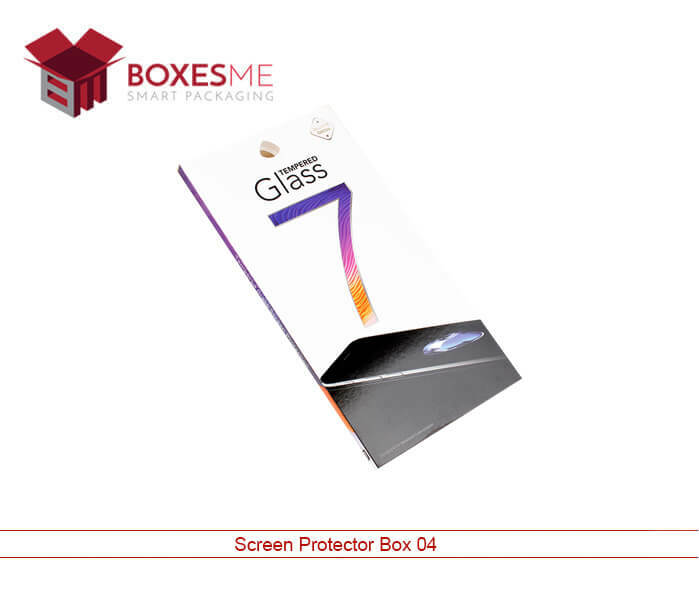 The attractive and smart kind of packaging box or their desire kind of glass screen protector impresses the customers and clients. BoxesMe is good for such kinds of products.